Sciatica is a condition where irritation of the sciatic nerve arises from spinal nerve roots in the lumbar spine — Piriformis Syndrome is the contraction of the piriformis muscle which may be the leading genesis of sciatic pain. However, there may be other agents for Piriformis Syndrome pain. I’m confident declaring this because I’m living proof. Based on my experience, fascial adhesions or scar tissue may also be sources for sciatic pain. Piriformis muscle begins at the front surface of the sacrum (the V-shaped bone between the buttocks at the base of the spine) and passes through the greater sciatic notch to attach to the top of the thigh bone (femur) at its bony prominence called the greater trochanter. The gluteus maximus muscle covers over the piriformis muscle in the buttocks. “Piriformis Syndrome pain may fit into three common symptoms. 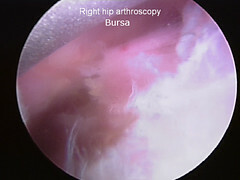 The first occurs in and around the outer hip bone. The tightness of the muscle produces increased tension between the tendon and the bone which produces either direct discomfort and pain or an increased tension in the joint producing a bursitis. 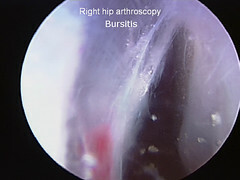 A bursitis is an inflammation of the fluid filled sac in a joint caused by an elevation of stress and tension within that joint. The second symptom suggesting Piriformis Syndrome would be a sciatic neuralgia, or pain from the buttocks down the back of the leg and sometimes into different portions of the lower leg. 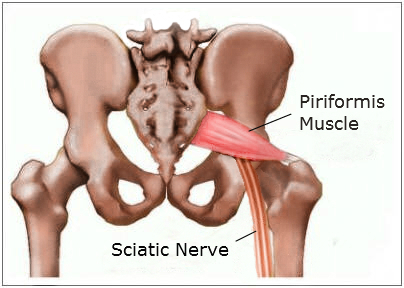 The sciatic nerve runs right through the belly of the piriformis muscle and if the piriformis muscle contracts from being overused, the sciatic nerve now becomes strangled, producing pain, tingling and numbness. Unfortunately I had all three symptoms. 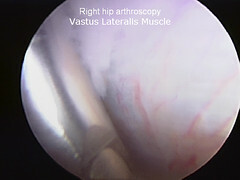 I wrote “had” versus “have” because on July 5th, 2012 I had two surgical procedures to treat my case of Piriformis Syndrome. I no longer wake up every day at a 2/3 on the pain scale and max out at 8/9 after sitting. Sitting on an office chair, in a car, or on a hard surface would cause my pain to rapidly increase from 2/3 to 8/9. I’m fully recovered from the surgery, and I’m cured. I created this blog because I feel obligated to pay it forward by sharing my knowledge and personal experiences with Piriformis Syndrome. It took me five years and a lot of money, but I finally found an accurate diagnosis, and a successful treatment for my case of Piriformis Syndrome. My hope is that I’m able to get other Piriformis Syndrome sufferers on the correct path to diagnosing and treating this agonizing condition. I’m living proof that eliminating or greatly reducing the debilitating chronic pain for some of us suffering from Piriformis Syndrome is attainable. You may be asking yourself how you can continue to live like this. My heart goes out to you. Please don’t give up. You’re not alone. Read my blog, get a Provocative EMG test, and schedule an appointment with a renown surgeon that has proven success with hip arthroscopy with endoscopic sciatic nerve neurolysis and piriformis tendon release. The articles and content of this website may not be construed as personal medical advice and are provided for information only. No action should be taken based solely on the contents of this information. Readers should consult the appropriate health professionals on any matter relating to their health and well-being. The publisherof this website and its contents is not a licensed medical care provider. The information is provided with the understanding that the publisher is not engaged in the practice of medicine or any other health-care profession and does not enter into a health-care practitioner/patient relationship with its readers. The publisher is not responsible for errors or omissions.